Today’s sketch is a portrait. The gentleman reminded me of some of the characters from cartoons in Mad Magazine from the 196os. 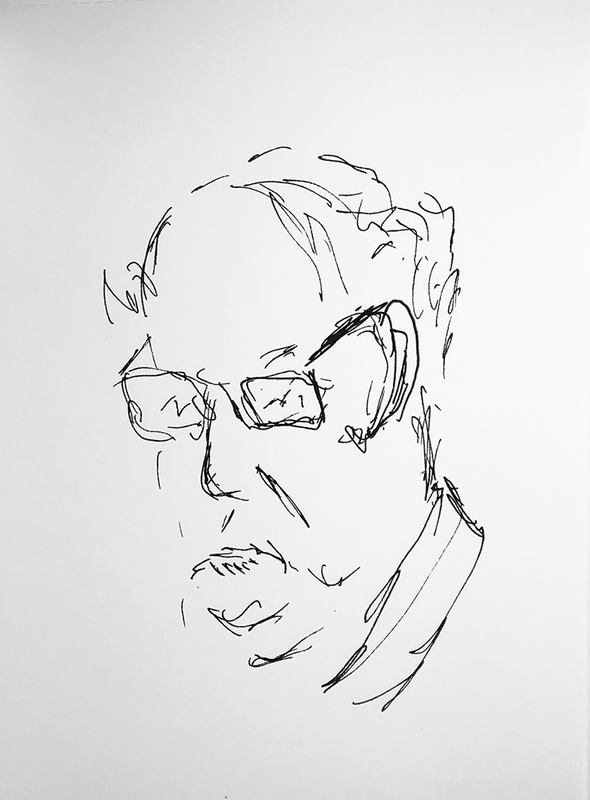 This entry was posted in Personal Stories and tagged 15 minute sketch, art, artistic process, creative process, creativity, drawing, less is more, pen and ink, sketch, visual art. Bookmark the permalink. I think this is fantastic. A personality shines through here. Thanks, Claudia! He certainly is a visual character.